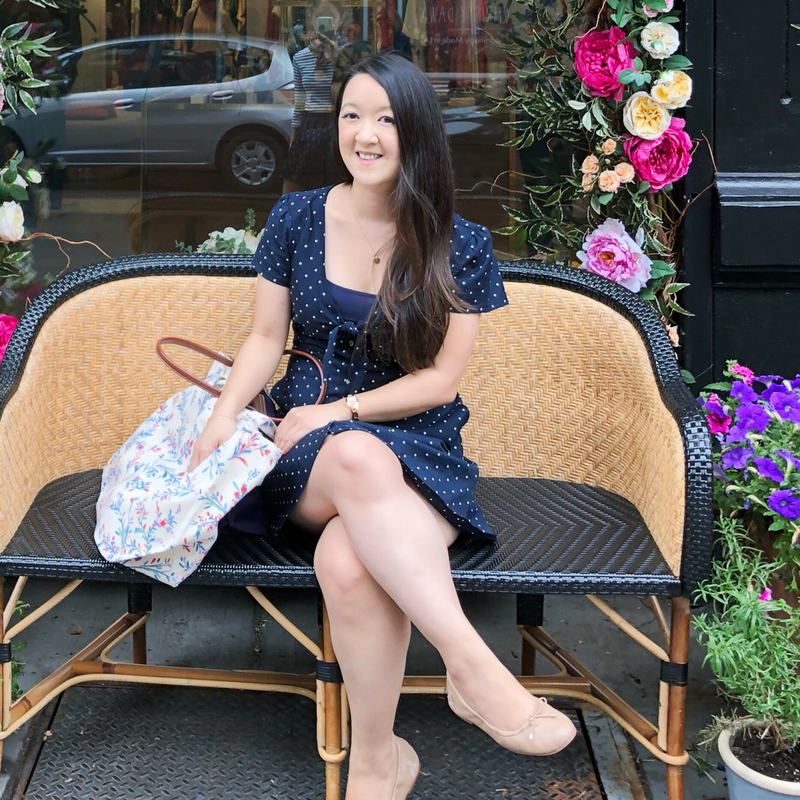 Monthly feature where I pair books with bags or share what's in a bag (mine or otherwise!) est. 4/2013. 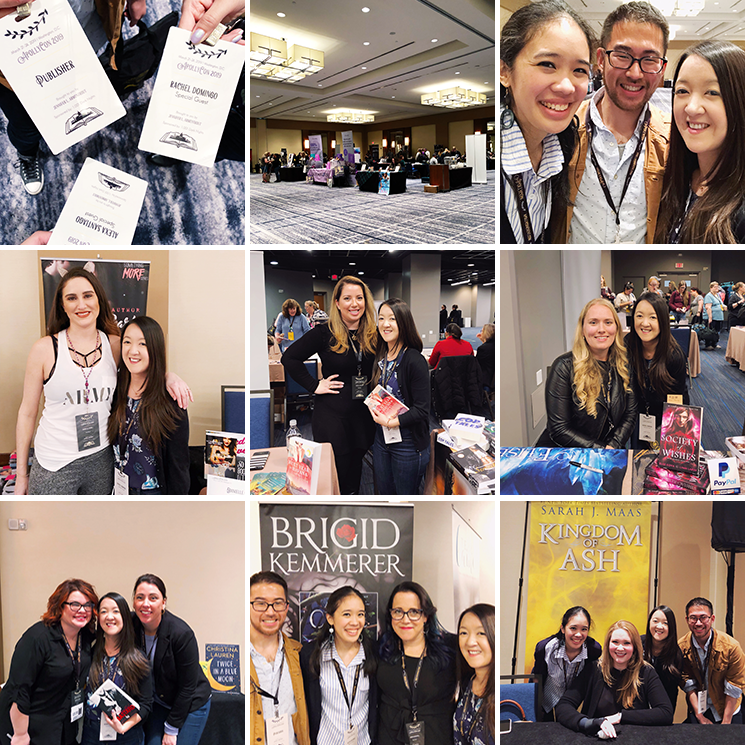 One of my favorite series is the Black Dagger Brotherhood by J.R.Ward and I was lucky enough to read the first 11 (!) books alongside Alexa and Kelly for a week-long BDB Party we threw on our blogs a couple years ago. I've kept up with the books ever since and I can't believe I've never done a BookBags for them before! I decided to focus on my favorites, which are: Dark Lover, Lover Awakened, Lover Enshrined and Lover Reborn. Dark Lover + Enroll with It Bag in Cherry | I mean, look at that cherry color? If that isn't a perfect match, I don't know what is. Lover Awakened + Coach Swagger 27 | I was so excited to see this bag! I love the colors on the cover and this purse absolutely reflects that. Lover Enshrined + Rollins Street Laure | Phury, my hellren! Of course, his book was the hardest to pair up with but I really like this bag from Kate Spade. It's something I can easily see myself using. Lover Reborn + Cati Perforated Flap Crossbody Bag | This is actually my favorite book in the series so far and Tohr is a very close runner-up for hellren in my eyes. Luckily I had a much easier time finding a cute bag to match! Which bag + book pairing is your favorite? And have you read any of these books? 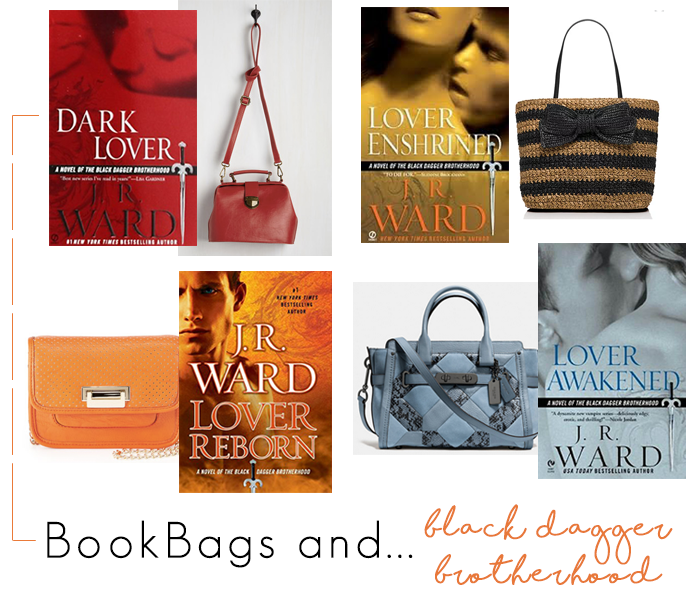 I really love that you did a BDB edition of BookBags, because 1) Black Dagger Brotherhood and 2) pretty bags! I'm particularly in love with the cherry Enroll with it Bag (which is not surprising because you paired it with my hellren's book). But I also love the KS bag you chose for Phury's book too!